In the case that someone intentionally ends the life of someone else, it is more likely than not that the person responsible will be prosecuted. On the other hand, what happens when a life is ended by an accident or the carelessness of another person or entity? What are the legal ins and outs of a wrongful death case? The answer to these questions can be found within the Texas Wrongful Death Act. Unfortunately, unless you have the right lawyer, you may not find out anything about this act and what it means. At the Law Offices of Alex Hernandez Jr., we want to make sure that you not only know what our options are should someone in your family be killed in a situation like this, but that you also know your rights and that you have a strong team of litigators to help you through this tough time. It is important to know that there is a lot that goes into a wrongful death case. On the other hand, our law firm is more than capable of taking yours on if a loved one has recently been killed because of the carelessness of someone else. Let’s talk about the very basics. If you are going to take a wrongful death case to court, it’s important to know the basic legal terminology of which you will be hearing a lot throughout the legal process. Decedent: The person who was killed because of the accident. Defendant: The person or party that is named in the lawsuit. This is the entity that is thought to be responsible for the death of the decedent. Duty: The obligation a person has to act in reasonable and safe ways that will not cause harm. Texas Wrongful Death Act: This is a written law that states that a family has the right to sue when a person of relation to them is killed wrongfully. The members of the family can sue for damages when their relative was killed due to a breach of duty. What Makes It A “Wrongful Death”? One of the questions people have most often when they are considering whether or not they want to file a wrongful death lawsuit is whether or not they qualify. 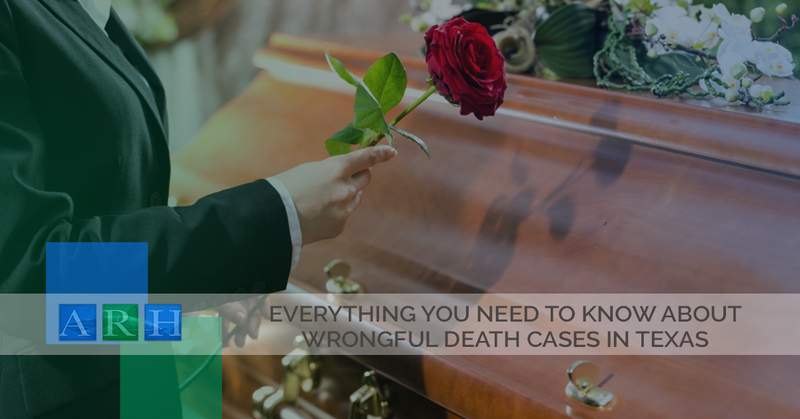 So what exactly makes a case a “wrongful death case?” In the simplest terms, a wrongful death claim can be filed when someone is killed by the reckless behavior of another person or entity. Let’s talk about a few examples to give you a better idea of what sort of situations we are talking about. The driver of a vehicle is behind the wheel while also on drugs. The driver loses focus and ends up driving in the opposite lane of oncoming traffic. The fault of anyone harmed or killed in this incident would absolutely be on the driver. This would be an incident in which a wrongful death lawsuit would be appropriate. A man takes a prescribed drug for a medical condition that ends up causing him to develop a fatal disease. If he should die from the condition, his family will then be able to file a wrongful death claim. Who Can File A Claim Like This? The reason claims like this exist is because the loss of a family member will almost always take an extreme toll on their family. While there is always sure to be emotional turmoil, there is also likely to be loss of income for many years in the future. In the state of Texas, the wrongful death act allows for three specific types of individuals to file a wrongful death claim. These are the spouse of the deceased, the children of the deceased and/or the parents of the deceased. Should You Sue For Money? Much of the time, a person or the people who are filing a wrongful death claim will ask us as attorneys whether or not they should sue in the first place. After all, losing a loved one is horrible enough. Why would they want to spend the next few months in court fighting for compensation? It is often easy for victims to forget why they filed the claim in the first place because of all of the headaches that come with suing a person or entity. We simply remind them that it is not money they are fighting for. They are fighting to ensure that whatever happened, never happens to anyone else. They are fighting for justice for their loved one. How Long Do You Have To File A Case? In Texas, the statute of limitations allows for a wrongful death lawsuit to be filed within two years of when the incident and death took place. This allows the family time to grieve before they begin working towards taking their lawsuit to court. While this may seem like quite a long time, it really isn’t at all. There is much to be done when a person you are closely related to passes away, so be sure to find a lawyer within the first year in order to get the ball rolling. Need An Attorney To Represent You? If you are looking to find a trustworthy attorney to represent you in your wrongful death case, look no further than Alex Hernandez Trial Law today. Our team will work endlessly to help you get the compensation that you deserve. Contact us today and find out what your next move should be as well as what our superb legal team can do for you.